It’s hard to break through that barrier in certain circumstances although I’ve been lucky enough that the native Spanish speakers I know are more than willing to speak to me in Spanish, (though often times it’s because they don’t speak English.) … When people are fully bilingual, it gets trickier. 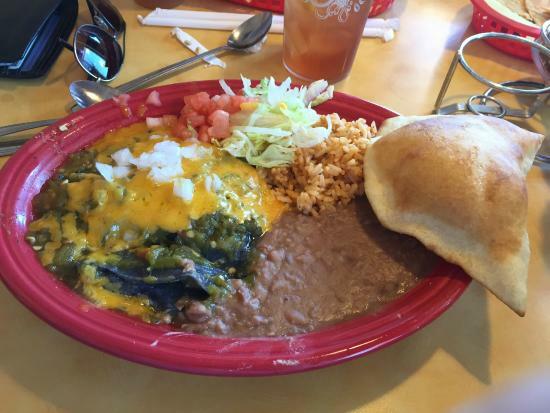 The photo of the enchilada and the mention of the posole have made me really hungry! … My older sister used to live in New Mexico and I had the opportunity to visit. It’s an amazing place, so completely unique from the rest of the United States – I hope I can go back and visit some day. “Speaking Spanish in New Mexico – NOT! | Spanish Linguist” really enables me imagine a small bit further. I personally loved each and every individual component of this post. My family was born in New Mexico and the Spanish there is not your typical Spanish. It is old colonial Spanish that was left nearly untouched for centuries as the are true Spanish not Mexicans. So it is not what you would learn in school or in Mexico or So America. Much studying is now being done to preserve our culture. I ma in Utah and I am proud to be Spanish American not Mexican. It is a very unique culture due to the isolation it enjoyed til the last century. Thank you for sharing your personal and interesting perspective. Actually, we speak Ladino in New Mexico –Sephardic origin. Our Spanish roots in the New World date back to 1492 when the Spanish crown: queen Isabela and Fernando expelled the Jews from Spain because our ancestors did NOT accept Catholicism. Thousands of Jews were killed for decades before and when they got tired of killing, they kicked our ancestors out. The twist: In the New World, they forgot who they were and accepted Catholicism. Go figure! In our family, our grandfather was out rabbi. While living in New Mexico we of course heard a lot about this possible origin story for the norteños, but my recollection is that it was pretty well debunked by Judith S. Neulander, who now teaches at Case Western University. Her research was first published in Jewish Folklore and Ethnology Review in 1994, and summarized in 2000 in an article in The Atlantic. Again, this is not my specialty, but you should check out the other side of the story. Finally, even Hordes does not claim that Ladino is the basis of New Mexican Spanish. (There is no mention of it in his book cited above.) I recommend that you read Chapter Two, “New Mexican Spanish: Myths and Realities”, in Bills and Vigil’s authoritative The Spanish Language of New Mexico and Southern Colorado: A Linguistic Atlas, and also the chapter on New Mexican Spanish in John Lipski’s Varieties of Spanish in the United States. My wife is a Sephardic jew from Morocco, and grew up speaking Ladino (after the reconquista, her family fled to the Muslim world rather than convert). She was actually born in Israel on a kibbutz in 70 but her parents went back to Morocco, then to France, then here). We moved from NYC to Santa Fe. She speaks Ladino, French, and English, fluently. New Mexican Spanish (I speak it fluently, as well as modern Spanish) is medieval, yes, BUT IT IS NOT LADINO. The assertion is laughable. What is so strange is that a certain element here in NM has grasped on to this silly notion. I was born in Ojo Caliente, completed my Ph.D. in Latin American studies at Columbia, and spent a good amount of time at the Viceroyalty Archives over the years. The notion that “secret jews” came over and became remote encomenderos in the North of the Viceroyalty of New Spain is LAUGHABLE. THESE PEOPLE ALL KNEW EACH OTHER AND WERE RELATED. Unless you were Hidalgo class or above, could PROVE Christian patrimony way back, and, (obviously) a peninsulare, you had pretty much close to ZERO chance of even EMIGRATING to New Spain for the first two centuries (they had all the slave class they needed here already amongst the Amerinds) much less owning/administering land for the Crown. Cortes himself could trace his family lineage back through six generations of moor-slayers, probably further if pressed. New Mexicans like myself would do better to look at their ACTUAL hidden history (I live here in Santa Fe on land used by hundreds of Nahuatl-speaking- and a few chichimec- and Tlaxcalan- assimilated Aztec warriors for syncretized rituals and cornfields, and locals have FAAAAR more Nahua blood than Jewish). Also, DNA has blown this notion of secret jewry out of the water as well. The only reason NM has a measurable population of jews NOW is the combo of Santa Fe arts and tourism and the National Labs/Los Alamos. This “we were jews” stuff is just bizarre, to one who knows the history of these migrations, and weirdly like afrocentric assertions that the civilization of ancient Egypt was created and sustained by Sub-Saharan Africans… it smacks of wishful thinking driven by some weird inferiority complex. This is a strange phenomenon happening all over Latin America. It’s as if our Spanish, Amerindian, African, Italian, French, etc… heritage weren’t interesting enough. There’s people out there that want to believe fanciful stories about their ancestors or who think that because their great-grandmother’s name was Esther that they must be Sephardic. 1492 fue el año que Colón llega a las Américas, pero la conquista no empieza hasta 1519 a 1523. Los Judíos Sefardíes son expulsados y no se vienen a las Américas directamente, mejor dicho, llegan a Marruecos y Turquía. Los Judíos que llegan a la Nueva España aka México son en su mayoria Judios conversos – gente que vive como cristiano. Yo tengo una Maestria en Español y es mentira que se habla Ladino en Nuevo México. Pero te voy a dejar con el ojo cuadrado – en Nueva York hay una comunidad de Judíos Sefardíes que si habla Ladino. Hay tres partes en el mundo que se habla el Ladino – en una pequeña comunidad de Nueva York que no a de pasar de los 200 hablantes, en Turquía y mucha gente que ha emigrado a Israel y entre todos los grupos no hay más de 2000 hablantes. La importancia del Ladino es que se cree que en menos de una década dejará de existir. Chingao si estoy por entrar a UC Davis y esto es en lo que pienso hacer mi Tesis Doctoral. Con el debido respeto, la gente de Nuevo México, no quiere ser confundida con personas de México – los hacen menos – es el mismo sentimiento que tienen los llamados chicanos de otras partes de EE.UU. Y comparto su opinión, un Mexicano es diferente a un Norteño, Nuevo Mexicano, Chicano, Hispano, Latino – o como sea que se quieran llamar ustedes. El chiste que para el anglosajón todos nos vemos iguales. Regreso a mi punto inicial, La Nueva España se forja a partir del año 1523, México no gana su independencia hasta el 1810 y en ese año la gente de Nuevo México era parte de ese territorio. Estamos hablando de 287 años bajo una misma cultura. Y si contamos el tiempo antes de la anexacion de Nuevo México a los EE.UU en 1848. Estamos hablando de más de 300 años bajo una cultura que no es Española ni Judía. Además, no estoy contando el último siglo porque entonces son 400 años. Eso es lo de menos, por 4 largos siglos la gente está hablando un dialecto que no es Español Peninsular (de España), el Ladino en realidad es Español Medieval – no es Español moderno, aquí es donde todas tus creencias que hablas Ladino se desmoronan. Y me corrijo porque en España hay un montón de dialectos o lenguas. Te recomiendo que leas textos de Sor Juana Inez de Domínguez para que entiendas un poco más que le pasa por la cabeza a un descendiente de Españoles que ya no se siente español. Quizás te vez reflejado en los textos: un Mexicano que ya no se siente Mexicano, pero tampoco Estadounidense y busca una falsa realidad alterna. se me chispoteó pero es Sor Juana Inés de la Cruz – en mi defensa son las 3 de la madrugada – Time to to sleep. Hey spaniard, just so you know it’s Castellano. My mother is from northern New Mexico although I grew up in the southern part of the state. There is difference in cultures between the two. Northern New Mexicans were taken over by the Americans and colonized as a territory for generations before were we even allowed to become a state because of racism. Because of this hispanics in smaller towns might be wary of strangers. Hispanics in the United States adopted aspects of American culture including being able to speak English because of the American conquest. When driving through northern New Mexico we stopped at a gas station and needed to ask directions. We saw a Hispanic woman and she tried to avoid us taking us for Anglo tourists. My mother is very fair and could pass for Anglo. I told my mother to speak to her in Spanish to get her attention which she did. We got the information and continued on. Afterwards my mother explained that it’s considered rude if somebody speaks to you in Spanish that you don’t know. Especially if you look like a tourist. These are small towns where everyone knows each other. It can be taken as an assumption that a northern New Mexican won’t speak English because they are an illegal immigrant (even if it was not meant that way). Speaking Spanish also might be taken as patronizing. Sometimes Mexicans even criticize the unique Spanish spoken in Northern New Mexico. These people have been there for centuries, fought in American wars and speak English, often with an accent but are still Proud Americans and its best to start with English if you are unfamiliar with who you are conversing with. The language as spoken in Northern NM has all but died out, and will die out when the remaining people of my dad’s generation pass away. The people born north of Albuquerque in the middle of the 20th century were the last to be born into that culture and into that language. Their kids don’t speak it, so there’s nobody left to keep it going. You can blame the Anglo educational system for this. When my dad’s generation was in primary school, they were chastised and prohibited from speaking Spanish. They were told that their Spanish was crude (which is was not) and that they should forget it. Going forward in NM, the Spanish you will hear will be entirely Mexican, either brought by Mexican immmigrants or by people coming up from El Paso. As far as Indian languages, the speaking of Navajo has all but died out, but the Pueblo languages (Tewa, etc) are going strong. You can go into the reservations and hear little kids speaking it with their parents, so it’s still alive. I really can’t speak to the quality of the Spanish actually spoken there, but I can say that the one time I managed to participate I got a lot of compliments for speaking un buen castellano! The quality Spanish spoken in New Mexico are by those who embrace the ‘Mexican’ in the words New Mexican. The Spanish i hear spoken is by the Mexicans. I have never heard a ‘Spaniard’ even speak Spanish. Norteños have a bad prejudice towards Mexicans and want nothing to do with them. They forget that their decedents were at one time Mexicans when the state was part of Mexico. The border just happened to move, making them American. Also, they call their food ‘Spanish’ food. I’ve been to Spain and there is no chile to be found, red or green. And a tortilla there is made of egg and not flour. Guess they are trying to hold on to an identity that was lost hundreds of years ago. No, they correctly note that they have a distinct culture. It is not European Spanish, but neither is it Mexican. 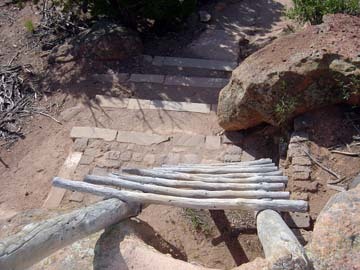 NM was Mexico territory for less than two decades. Prior to that it was Spanish Colonial territory, along with present day Mexico and much of the western USA. However, NM was isolated, and they did not feel a connection to Mexico. That’s why when the US invaded, they surrendered without a fight. They never shared a cultural identity with Mexico. Why do Mexicans insist on denying them their cultural identity and pushing a Mexican one on them? Mexicans are the ones with the inferiority complex. New Mexico Spanish people don’t claim being better, just different. Spanish New Mexicans have their own culture, which is a mix of their Spanish ancestry, local American Indian influence, and whatever evolved over the hundreds of years of being a Spanish colony. They also strongly identify as American, since their families have been US citizens for many generations, with some being war veterans. For them to identify as Spanish-American makes sense…they can trace their history back to Spain and otherwise they are American. They were either a part of Spain or the US for most of history, not Mexico. They also have had influence of other European immigrants, such as French, Italian and Irish. Many old NM families are not just Spanish and New Mexico Indians, but may have a heritage including other European lineage. The reason they won’t speak Spanish with you is unlike more recent hispanic immigrants, they have been here so long that English is their first language. They may prefer English, even if they speak it with an accent. Many of the younger generations do not even speak Spanish at all. I don’t, my mom doesn’t, and my grandparents consider it a second language. You may have to go back to the 1800s to find people from Spanish New Mexico families who speak Spanish as their primary language. We are pretty much Americans with a southwest hispanic culture, not recent Mexican immigrants. Also, when they do speak Spanish, it is a New Mexico dialect that is a very old Spanish mixed with some local Native American words. Many who speak Mexican-Spanish will try to correct them, and it irritates them. They get sick of Mexicans and other people trying to erase their identity, culture and dialect. Also, Anglo means non-Latin and especially not Catholic. Southern Europeans are generally not considered Anglo, especially if Catholic. A Catholic Italian would be considered latin, not anglo. Wow, thanks for the ultra-informed comments! I was born in Belen, New Mexico. I am not a Mexican. I am of Spanish-Navajo Indian decent. I speak New Mexico Spanish but I am not fluent. were not allowed to speak Spanish in private or public school. USA Citizens. We are not immigrants from the Country of Mexico. Good. Spanish is Good. Navajo is Good. And the list goes on. God Has Blessed The United States of America with ALL OF US. my own children taking any interest in Culture, Country, Family or God. Sad indeed! Thank you for commenting. Many do not understand the very distinct Northern New Mexican culture and have a hard time understanding why we don’t identify as Mexican and why many of us were not taught Spanish at a young age. I was told by my grandparents that they were not allowed to speak Spanish in schools and were even punished if they did so. This is why they did not pass on the Spanish language to later generations. My parents do not speak Spanish nor do I, other than what I learned in school. It is sad, but it is what happened. You did a really good job summarizing Spanish New Mexican culture. Well said PinkFreeways. Thank You Very Much! You are very informed and I would like to say I feel the same way! My family has lived in New Mexico since the late 1600’s and No I don’t feel I am a Mexican. I am a Proud Norte Americana! Because I say this some people seem to feel that I discriminate against Mexicans I don’t. Our Language is Beautiful I learned it from my parents who learned it from theirs and I proudly speak it as often as i can to as many people as I can. The sad thing is not many children being born these days speak it anymore. Again Thank You Very Much ! for speaking up! THANK YOU. See my comment above. As someone whose family roots go back 400 years on the Spanish side (and thousands on the Native side), having some jerk who arrived from Sinaloa last month tell me the Spanish my family and our community speaks is “not Spanish”, is IDIOTIC. I just tell them “No. Solamento no habla Mexicano yo”. Couldn’t have said it much better. Yeah, we identify as Americans, not Mexicans living in the US. I KNOW you hate that. What I can’t understand is why. Right on one thing: they did consider themselves direct descendants from Spain. Wrong in saying they didn’t speak Spanish or they only spoke Spanglish. Up until about 1950 – 1960, they spoke Spanish as a primary language and the spanish they spoke was 99% spanish with about one in every hundred words being borrowed from English. The rest of it was Spanish with a few words that had been borrowed from the native Indian languages over the centuries. This idea that they didnt’ speak “correct” Spanish was fallacy and came about because American schools wanted to shame them into abandoning Spanish in favor of English. So the schools told them their Spanish was “crude” or “poor” although in fact it wasn’t. In any case people born after about 1960 didn’t learn Spanish at all. Totally English from that point forward. Saludos a todos. Soy español y me he topado con vuestra página. Me ha parecido interesante y la he leído. Quisiera puntualizar algo. Aquí en Europa tanto españoles como franceses e italianos nos consideramos latinos ya que hablamos lenguas que derivan del latín. De todas formas, no creo que meter al resto en el mismo saco esté bien. Irlandeses por ejemplo no son anglos y seguro que hay muchos en Nuevo México. saludos a todos desde Granada, Andalucía en el sur de España. P.D: Visitar mi ciudad que es muy bonita. Gracias por visitar mi página y por comentar. Ese uso de anglo me pareció algo específico a esa región de los EE. UU. Vivo ahora en Nueva York y nunca me describiría así. David — ¡Estoy planeando una visita a tu ciudad con mi consuegra en mayo! Estoy muy emocionada. Yo estuve en Granada este agosto. Bellísima!! The use of “Anglo” puzzles people here in New Mexico as well. I am old enough to remember forms that gave ethnic choices as “Anglo”, “Spanish”, and “Indian”. The African-American population was so small that it was years before there was a fourth option. In this way, Blacks were Anglos because they weren’t Hispanic or Native American, so obviously they were White. All those forms now list numerous ethnic choices, including Chicano/a, Latino/a, Pacific Islander, several Athabascan choices, and the regular White, Hispanic, Native American and African-American. Many people, including me, object to the term “White” – meaning some sort of Northern European – and cling passionately to “Anglo”. WE know what we mean: not Hispanic, not Native American, not African-American. To me “White” carries its own stigma. Oddly enough, my children who are half Anglo (me) and half Hispanic (their dad) have their own ideas. My daughter fills in the “White” box while my son considers himself Hispanic. A note on Granada: I want my very own Generalife, and actually made a list of all the flowers and trees while visiting there to put on a wishlist. For a class project I am presenting a program on the ‘romance frontera’ Abenámar, a “moro de la morería”, a magnificent poem written by an anonymous author around the year 1000. And of course how can you think of Granada and not remember Federico García Lorca? One more comment. Here in Albuquerque, I am described as an “Hispanic-surnamed Anglo”. The other way round is an “Anglo-surnamed Hispanic”, Hispanic women with Anglo (non-Hispanic) surnames. The non-Hispanic, Anglo surname can be Asian, Middle Eastern, Native American, whatever, it’s still an Anglo surname. This reminds me of a Japanese-American friend of mine. He was annoyed that when he went to Japan, people insisted on spelling his (Japanese) last name with katakana (the set of characters normally used for foreign words) instead of hiragana (the set used for Japanese words). This labeled him as a foreigner, like your “Hispanic-surnamed Anglo”. I stumbled upon your site while researching about Spanish in NM. For whatever reason there isn’t as much info out there as I expected. I had the belief that NM is a bilingual state but so far it seems like that’s more of a myth. Unfortunately the homogenizing power of American culture (every main thoroughfare in suburban America is the same…McDonald’s, Starbucks, Bank of America, Olive Garden, and then some regional chain) has eradicated French from Louisiana and Spanish from NM (at least among the descendants of the original settlers who apparently, I’ve read, don’t like being identified with the rest of the Latin American world). I your experience living in NM, was Spanish commonly spoken among the old families or was it mainly the new arrivals that still spoke it? ¡Un saludo desde la Florida! Alejandro, have you read the relevant chapter in John Lipski’s Varieties of Spanish in the United States? As he describes there, the old families are still speaking old-fashioned New Mexican Spanish, but there are also newcomers speaking more modern varieties, just as in other parts of the U.S. Some of you may be interested in a book, “Accidental Anthropologists”-Claudia Clavel. It is the story of an Anglo couple who move to a small Northern New Mexico village and live there for 30 years. The stories are great. The introduction is brilliant in its observation of the changes in the names given to children, and the disappearance of the old Spanish names. I found my copy at, Tome on the Range bookstore in Las Vegas, New Mexico. My friend found his at, op.sit bookstore in Santa Fe. I think it is also available on Amazon. If you love N. New Mexico culture, you will love this book! It was a finalist in the 2015 New Mexico/Arizona book awards. Thank you for the recommendation. I just ordered a copy. Yes unfortunately a lot of us don’t speak Spanish. My grandfather, from a very small town in Northern New Mexico called Cebolla, spoke exclusively Spanish growing up. When he was going to school he was not allowed to speak Spanish; when he joined the Army he was fiercely ridiculed for his accent. This was the reason why he didn’t teach my mom Spanish and that is mostly why most here don’t speak it. It is very sad to think about! This is why I go out of my way to really learn the Spanish that is spoken here. So very true..me and my siblings ..and the rest of the students at school were not aloud to speak Spanish. And since I speak New Mexico Spanish.. Mexican people often try..to correct my way of talking. I usually tell them that ..we..New Mexico folks…understand each other very well. In New Mexico..
Maria Lu Archibeque Rivera, we in northern New Mexico DO NOT speak Spanish. Instead, we speak Ladino, a Sephardic dialect. Years ago when as a young girl I lived back east. I went to school with a student from Spain who called me a “worthless Jew.” I took it for a long time until one day my blood boiled and I kicked her out of a very slow running car and left her there. The good news: she never spoke to me again. When I speak of NM Spanish..I’m aware of regional as well as timeline differences. My older family ancestors lived in Santa Fe.. And Rio Arriba area…that is the language I grew up speaking. I wa born and raised in the very rural country East of Abq..we spoke the same language as my parents and Grand parents …not the slang contaminated one that is spoken in the city these days… By some…You most likely know what I mean..I’ve lived a while..82 years..so Eventho I’m still learning ..I’ve seen the changes. Spanglish to me is the norm..we bounce from English to Spanish all the time ..me and my husband at home as well as with family..our children?………English only..go figure. Thank you for your information..I’m no longer sure we spoke Ladino..but I do know it is different than the Mexican language. Gods blessings on you. Cebolla (and area) is beautiful. My wife and I left NYC for Santa Fe after I retired from academia, I’m very VERY happy to be back in Northern (well, North Central, anyway) New Mexico. I grew up around Espanola. There is no place like it on Earth, and we have to fight to preserve what remains of our culture- and that means against both the Anglo homogenizer Californicators and the Reconquista La Raza “make NM Mexico again” (even though it was only “Mexican” for half a generation, and totally ignored by the Federal District) types. Some of us still remember our grandparents stories about the terrors of Comancheria and the Apache and Navajo slave raids, and how OVERJOYED their parents were to welcome the Americans- the only ones who saved our communities by swiftly defeating the raiders- after being abandoned by Mexico after Spain withdrew. Mexico did NOTHING for our communities up here, which were on the verge of extinction prior to Anglo arrival. No one likes to talk about that. (“We love the New Mexicans. They raise our sheep and slaves”- Mangas Coloradas, Apache war chief). Of course there was plenty of peaceful interaction and intermarriage between us and the indios- bit also unremitting brutality on both sides. Of course, the Anglos also robbed us. The Battle of Santa Fe/Canoncito comes to mind. The history of land grants in NM and the corruption surrounding them (that still lingers!) is fascinating. It seems to me that most Mexican nationals (or second generation children of Mexican illegal immigrants) who admonish us for our ties to the US are motivated more by anti-Anglo, anti-European racist sentiment than any actual knowledge of our complex, intertwined history. NORTHERN NEW MEXICO IS NOT MEXICO (“NEW MEXICO. NOT NEW, AND NOT MEXICO”). I am offended by those who claim that it should be, and that those of us with tracable European (and of course, indigenous ancestry, making us Mestizo, just like them) family history here are somehow traitors or alien. Tired of hearing it, from all sides. This is a land where we all get along, because we HAD to to survive. If you want to promote an agenda by defining us other than how we define ourselves- you can go back to the Upper West Side of NYC or the tarpaper shacks in the Sierras above Sinaloan Cartel-run Guanajuato. Neither one of those places is us. Come, as you are welcome, but stop telling us who and what we are or should be. That’s like walking into someone’s house and urinating on the floor. As trite as it sounds, we are indeed of three (minimum) syncretized cultures, and we are very aware of it. Being told to “pick one” and that if we don’t, we are traitors somehow to someone is beyond offensive. Can I pick my genetics and family history? No wonder the smaller communities of Northern NM are becoming EVEN MORE insular and suspicious of outsiders (and we’ve already got a bad rep on that front) as time goes by. Well ultimately you kind of do have to pick a side, and I see a strong cultural/linguistic link in our people with Mexico whether you like it or not. It’s true that New Mexico was only a part of the Republic of Mexico for 27 years but you do realize it was part of New Spain for over 200+ years? New Spain as in Mexico? You think there was some direct Madrid-Santa Fe flight back then? Sorry Amigo, but I have lived in both Mexico and Spain and when I enjoy our New Mexican food, language, music, and architecture all I see is a Mexican link not a Spanish one. You “Spanish” fanatics are just falling into the same racist “whitening” that our ancestors succumbed to when trying to fit in to American society back then. Research our history and open your eyes so you don’t end up saying stupid things like “Mexico did nothing for us”. Are you that ignorant of our own history? Mexico gave us actual citizenship of a country not subjects as had been the case with Spain and eliminated the classist society that you try to emulate with your writing. We were ALL Mexicans, White, Indian, Mestizo and even Black. Mexico opened up New Mexico to trade with other countries, not just selfishly kept New Mexico blockaded like Spain did and economically depressed. Ah, those land grants that you so called “Spanish” are always raving about? Well the majority were granted by Mexico my friend. Mexico granted more land grants to Nuevo Mexicanos than Spain ever did and last but not least you do realize that those Mexicans that fought and died in the Mexican American war paid a heavy price so that our ancestors would have rights and would be treated as equals in the USA? You think the Americans so benevolently made our ancestors full citizens out of the goodness of their heart? Have a little more respect and appreciation for the country that gave us so much and you ask yourself why they look at you like a traitor? Tienes el nopalote en la frente y ni te das cuenta. I’ve published a book, “Papas y Frijoles,” in the language of northern NM. Would you like to buy a copy? I am promoting it on my own due to limited resources. The book is a collection of poems and short stories about life in northern NM. I enjoyed reading your post. I’m unable to find your book on Amazon. Where can I get a copy? I’m especially interested if it is in (or some of it at least) spanish. I am selling the book. It is not on Amazon. If you live in Santa Fe I can meet you there next week. The book is written in northern New Mexico Spanish with English translations. You’ll enjoy it. You’ll find me on Facebook and Instagram. I have pictures of my book on Facebook and Instagram. You’ll find me on Facebook and Instagram. I have pictures of my book on Facebook and Instagram. The book has plenty of dichos and colorful sayings. I learned them from my mother and grandmother. I was raised in the Penasco Valley, south of Taos. either (a) I can send you money via Paypal or send you a check and you mail me the book; or (b) I can arrange a friend of mine in Santa Fe to meet you and give you the money and you can give him the book. Same story for all of us. My dad was born in 1940 in southern Colorado and was raised in northern NM. His home language was Spanish. His mom, (my grandma) who had been born in the San Luis Valley in Colorado, never learned English. She passed away when I was in my 20s not having learned a lick of English despite being born and raised in the United States. When I was raised and we would visit her or my dad’s relatives, Spanish was spoken, otherwise it was English. I’ve recently taken an interest to learning some of the old dichos and ways of saying things from northern NM. So i’ve been asking my dad to repeat some of them. And then I’ll run them by my wife, who is Colombian, and sometimes she knows the expression word-for-word, which amazes me because it means that some of these dichos either came directly from the Old World 500 years ago, or were somehow passed around between the Spanish settlements in the Americas. This latter scenario I kind of doubt because NM was so isolated there’s no way these expressions could have made their way back and forth to South America. If I may..I am New Mexico born..decedent of the very early colonists..since 1598-1800. Yes we do speak a “different Spanish” than do the Mexicans..Its called. Ladino..a dialect spoken by Jewish Spaniards exupulsed from Spain in 1492—1500— Those that came to Amerca…by way of Mexico..settled mostly in Northern NM. At that time, “La Nueva Espana.. New Spain”..The language Ladino is to the Spanish as Jewish Yidish is to Germans. It is not “incorrect Mexican” as some claim…we are very proud of our unique culture and language. Yes, we are 100 percent American, Therfore we also are very proficient in “Spanglish” English is our main language..our ethnic background is Spanish, French, and German, Native American, etc. But totally unique. New Mexicans. I have lived among Mexican people for the most part of my adult life..and can not..nor do I want to loose my NM way of talking or my NM culture. Maria Lu, please see my earlier reply (dated 9 April 2016) to Jo Izay regarding the Ladino hypothesis — which, while appealing, appears not to be credible. missing links etc. Thank you again. New Mexico History Museum ..posted on FB. Be among the first to see the ground-breaking exhibition, Fractured Faiths: Spanish Judaism, The Inquisition, and New World Identities.For the first time, a major institution tells the comprehensive story of Spanish Jewry’s 1492 diaspora and how it led to a tenuous foothold in North America. Despite continued persecution, its people persisted—sometimes as upright Catholic conversos, sometimes as self-identifying “crypto-Jews.” Sundays are free to NM residents. Attended this here in town. No actual historical evidence, STILL. Sorry, but you are wrong. The only similarities between Ladino and New Mexican Spanish is that there are late-medieval Spanish holdovers in both. My wife is a Moroccan Jew, a fluent speaker of Ladino, Arabic, English and French. I was born in a small town near Espanola in 60 and speak fluent NM Spanish. IT IS NOT LADINO. We are GENETICALLY not Jews, up here. Sorry, but this is just a silly uban legend that people are pushing that has NO historical grounding. See my post further above. Kudos to PinkFreeways!! Couldn’t have said it better myself! I identify as an American of Spanish and Mexican descent, my familia on dad’s side, has been traced to 1750 back in New Mexico and Colorado, we were from the Saiz and Montoyas, on mom’s side, those families came to this country from Mexico in 1907 and left no one there, I came to understand it was during the revolution and settled in Los Angeles. They assimilated, became Americans, served in the armed forces just like the Jews, Russians and Italians did before there was any public assiatance. Those of us born and raised here are called derogatory terms like “pochos” and are looked down upon by mexican immigrants! Mexico has it’s distinct beautiful culture but sorry to say, many like me, didn’t grow up with things like, quiencieneras nor did we know of some of the dishes that popped up back in the 50’s & 60’s. I was once told at a party by a mexican immigrant and his sister that, we’re even looked aupon as gringos because we’ve lost our mexican culture! To that I countered with, I’m proud to be a pocho and perhaps I would have a tee shirt made with, Pocho Pride printed on it. I have no problem with anyone wanting to claim their roots but be proud to be an American first! Viva Nuevo! I did not speak much Spanish during the 10 years I lived in northern New Mexico, however during a visit after 6 years in Mexico I spoke more than adequately. People did speak Spanish with me, but they also told me they were embarrassed because I spoke better than they did. That’s probably true, given that I almost exclusively spoke Spanish–and still do–in Mexico and at that time I had just finished writing and producing a long theater piece about the life of Emiliano Zapata in the village where he was born. When I did manage to speak Spanish in NM I got the same reaction (that my Spanish was “better” or “more correct”). The Zapata project sounds fascinating! Now what I just said applies to people of my dad’s generation and before. They were native Spanish speakers. It wasn’t Spanglish. It was Spanish. For those coming afterwards, English is their primary language and they either don’t speak Spanish or it’s very limited, broken spanish. I am a half Jewish non-Hispanic New Mexican, living in the east side of the state, that is semi fluent in New Mexico Spanish. I always had an easy time making friends with my “manito (New Mexican)” classmates and later on in college, I got along well with Northern New Mexico Hispanics and felt very comfortable with them. After I learned about the Crypto-Jewish origin of many norteno families I realized why. Maybe blood knows blood. For those that say there is no Ibero-Jewish tradition in New Mexico, and Northern Mexico for that matter, DNA results say different. Many that have been tested show a set of genetic markers on the Y-chromosome that is also found in about 30 percent of Jewish men. This is the cohanim marker. This is scientific proof, not folklore nor speculation. As to whether New Mexico Spanish is Ladino or Judeo-Spanish I can say there may be influences but I don’t think it is. Ladino has many hebraicisms the same way Yiddish does. The one sure connection is that both New Mexico Spanish and Ladino share older forms of Castellano from the 16th century. I think that many converso, Jewish origin families, that emigrated to the New World to escape persecution at the hands of the Inquisition had to be able to speak a very correct form of Castellano, at least in public, so as to be able to pass as old Catholics. This continued in New Mexico even up to the early 20th Century, so many features of Ladino were thus lost. By the way, as to the original topic, New Mexico Spanish is still spoken in New Mexico. I use it all the time as well as Spanglish. Kudos to the website owner for bringing up this fascinating topic! Thank you for reading and commenting, Mike! Can you recommend a reference about the DNA results? Thanks, Mike. I would have to reserve judgment until I saw something published in a refereed scientific journal. The first two articles refer to the same study, which has a fairly small sample size, although the results are impressive, and don’t mention a scientific publication. The third article, which does refer to a paper in the prestigious journal Science, is about Cohanim genetics in general and doesn’t mention New Mexico. I’m rooting for this to be real but it doesn’t look like the jury is yet in. You can check out the the New Mexico DNA project and see the DNA results for yourself. My family has submitted DNA and joined the project and we have many DNA matches with French Sephardic Jews, Ukrainian and Lithuanian jews. And of course we are native american too. Admittedly it does not include New Mexico. This is fascinating — though over my head! Very interesting, Jason — thanks for writing! Soy Español, y he encontrado el blog de casualidad, interesado en mi redescubrimiento de la magnífica historia de España y la influencia hispana en el mundo. He pasado un buen rato leyendo el blog, aunque mi inglés no es muy bueno, lo entiendo bien. Tengo que decir, con respecto a la gastronomía, que en España no se les llama chiles a los pimientos, ya que nos gusta muy poco el picante, aunque hay algunas variedades que si lo son. Ia mia) son las sopaipas, una mezcla de harina de trigo, agua y sal (si me acuerdo bien) que se frien en aceite y aquí se toman tanto en dulce como en salado y en epocas especiales. Realmente, cuando leo cosas sobre Lo hispánico y España me sorprende leerlo en inglés. Realmente el mundo anglo y el hispánico ( que no latino, aunque sea transmisor de la herencia romana) chocaron durante siglos hasta que el Imperio Español sucumbió. Parece que al final las cosas acaban poniéndose en su sitio. Por cierto, que no le he comentado, saludos desde Alcoy en la provincia de Alicante, Valencia, al Este de España. Fue un placer recibir tu mensaje. Debes saber que algunas entradas en mi blog son bilingües, por lo tanto las puedes leer en tu idioma nativo. Solo hay que buscar “Spanish Friday”. No había oído de las sopaipas pero al recibir tu mensaje las busqué en Google Images. Las sopaipillas de mi restaurant favorito en Nuevo México son más hinchadas, pero según Wikipedia los dos panes son hermanos o al menos primos. Algún día me gustaría visitar tu provincia. Conozco bastante bien Barcelona, y un poco la Costa Brava, pero en absoluto la costa más sureña ni el interior del este (además de Girona). Soy gran amante del arte por lo tanto IVAM y los otros museos de Valencia están en mi “bucket list”, como decimos. ¿Me puedes recomendar un libro que trate del tema histórico que mencionaste? Disculpa que no haya contestado antes, acabo de ver que me contestaste y creo que no vi bien el correo con la contestación. Cuando quieras venir a mi tierra bienvenida seas, que creo que podremos enseñarte muchas cosas. Del tema del Imperio Español hay muchos libros. Aunque realmente estoy escuchando un podcast muy bueno al respecto. Le encantará. Si le interesa el tema americano hay, desde Hernán Cortés, a la Luisiana Española y la expedición a Alaska entre otros. Hay desde personajes de la historia de España a periodos históricos concretos. Un placer y si quiere contactar conmigo le puedo pasar mi contacto. Aqui en Nuevo Mexico sopapillas son de la forma de una almohada muy chiquita. Hay otro pan mas grande y redondo que se llama el bunuelo. Los dos son una mezcla de harina de trigo, agua, sal y levadura en polvo. (polvo de hornear). Sin muy apetitosos y hay costumbre de comerlos por San José. Por favor disculpame por la tardanza en responder. Me parece que los dos tipos de pan se hacen en la mezma (Castellano en Nuevo Mexico) manera aqui que en Espana. Tambien debo decir que no se yo escribir la ene con mi computadora. Ni entiendo hacer los acentos tampoco. Mi culpa. Pues el origen es común. La eñe en el teclado no está al ser teclados para inglés. Los q se venden en España e hispanoamérica si la llevan. Bueno. hablando de buñuelos. Soy de New Mexico, mis esposa es de Colombia. En Colombia se ve mucho los buñuelos, son como dices pero no son dulces, tampoco son como los churros. En Colombia hay natillas. En Nuevo Mexico tambien hay natillas. Son distintos pero ambos son dulces y los hacen en diciembre. I have a long story to tell you about and the stories here make me want to tell them. I just do not want to bore people. Latinos son los primeros en mi vida. In that case feel free to email me directly (see “Contact/Follow” on my blog). I am 70 years old and I was born and raised en El Norte de Nuevo Mexico in a small village, El Valle and Chamisal in southern Taos County. When and who labeled us norteños is unknown to me. Spanish was my primary language when I was growing up; however I also learned to read English before I went to school. My language was the one I grew up with. We norteños understand each other and I can even identify a norteno who speaks only English by their accent. Unfortunately our dialect and Spanish language are getting lost. Many people my age speak very little Spanish and the younger generations are not speaking it anymore. How can I access my comment above to correct my typos? Hi Lorraine, I don’t know how to give you this access, but when I received this message I took the liberty of copy-editing your original comment. I made some punctuation changes and fixed the typing problems (like misspelling of “English”). If I missed anything, please let me know! What you say about the disappearance of New Mexican Spanish matches what I read about the dialect in John Lipski’s book “Varieties of Spanish in the United States”. Born & raised in Northern NM, parents from Taos. Same story, not taught Spanish as 1st. language as to not “hold us back” as in their education. I consider that the worst decision ever made. We were transplanted in the South LC for college. I was NOT prepared for the cultural & language differences & quickly learned Spanish at NMSU. I was made to feel inferior in my new home (by most) for not sharing the Mexican language & ways; I was not welcomed and didn’t “fit in”. During the “Chicano” movement, I realized that we were of the same family but with unique backgrounds, ideas, education and language & I imposed myself on locals; and finally made friends. I LOVE & EMBRACE all our cultures in NM. Bottom line, I am PROUD to be of Northern NM Spanish American heritage! That is where my heart is. I personally feel blessed to have spent ten years in northern NM although I regret that it was so hard to find people who would speak Spanish with me! My mom’s family, who has been living in New Mexico for at least 8 generations (documented) have some of the same reactions as some of the other New Mexicans who posted above when differentiating between Mexican and New Mexican. My father’s family comes from Northern Mexico three generations back and largely has Tarahumara background, but now lives in California so it’s fun to compare the similarities and differences between the two cultures. Honestly, as a “mestizo” it can be pretty annoying hearing my grandma praising her Spanish “purity” even though she knows she has Navajo and other “foreign elements” in her DNA after reviewing some tests. Although the average Hispanic-New Mexican appears to be lighter-skinned than the average Mexican, it’s quite obvious that they can have indigenous facial features. After all there had to be some fornicating between Criollos and Mestizos on that long trip from Mexico City to Santa Fe, right? I also noticed similarities when I lived in Spain for a year, taking note of the Arabic facial features a lot of ACTUAL Spaniards had despite a lot claiming to be of strictly a Germanic/Ibero-Roman mix. But going back to New Mexicans, I would now think this claim of Spanish roots as more of an symbolic identity than a genealogical one. Persistence is now moot since I moved from NM back to my native NY 17 years ago…and now have conversations with miscellaneous people in Spanish all the time. It really was a specific cultural barrier. Juan, interesting comments on this interesting thread. I too, when in Spain in 2003 noticed the Arabic or at least North African-Berber facial features on many Spaniards, more in Andalusia than elsewhere. I also saw many that looked like Northern New Mexicans. Some in fact could have been siblings or cousins of friends of mine the resemblence was so strong. Language was a different deal. I had difficulty in Andalucia but was most comfortable speaking with people in Extremadura and the rural areas of La Mancha. Some very strong opinions here. The crypto-Jewish phenomenon is real and it is Neulander, whose hypothesis that NM sefarditas adopted an affectation because they want to be white is itself not only laughable but racist, and has been thoroughly debunked. Hordes demonstrated the genealogical connection of NM families to documented Converso families that converged in northern NM and southern Colorado from Mexico, by way of Spain, Portugal, the Canary Islands, Portuguese Morocco and Greece. DNA evidence is conclusive, especially the prevalence of males with the Cohanim markers J1 and J2 among these families, and the unfortunate clustering of females with the BRca1 cancer mutation. I’m not a linguist but I do know that the uvularization/long-x (mu[x]er instead of mujer – same as Hebrew chet), deaffrication of ts (mushasho instead of muchacho; oshenta instead of ochenta; Pasheco instead of Pacheco), nasalisation of vowel preceding postalveolar affricate/fricative (munsho, instead of mucho), elision of word-final intervocalic consonants, esp. in -ado (occupao’ instead of occupado) and other examples (yo seigo instead of yo soy; uste’ instead of usted) are the same in Ladino. It doesn’t mean, however, that NM Spanish *is* Ladino. But it does mean there is something to perhaps study and learn. If you take all the above – genealogy, DNA and language – and combine it with oral history and family customs, I wouldn’t call that laughable or even a coincidence. I would call it a phenomenon and even a miracle. It’s the persistence of culture and identity and a testament to power of identity – especially the Jewish identity. I have very, very close friends who are Moroccan Sephardic Jews and they don’t speak Ladino and can’t comment on it; they speak French and they only sing Ladino songs – the bendigamos – from time to time. But when I hear Ladino-speakers from Turkey and Greece I understand much more than I can than when I hear speakers from Mexico and Latin America. I hear my New Mexican grandmother in these people, and it’s an odd feeling. I’m from a family that happens to be directly descended from literally all the NM families Hordes studied in his book, that carries the J marker and that has members from the generation before me that returned to Judaism. At the same time, no one is ashamed of our Native American or other blood or our fiercely Catholic cousins, though we find the Aztec/Mayan element of Latino culture foreign and the Pueblo culture familiar and comforting (because the former is more Mexican and the latter is inextricably New Mexican). I don’t think our family, our history, or my being a Jew, is laughable and I wouldn’t call anyone else’s experience or identity laughable. I hadn’t approved your comment because I’ve been swamped, between the end of my teaching semester and three public speaking engagement in two weeks. I will not approve your follow-up comment because I don’t publish ad-hominem attacks. Also, I searched the comments on my blog and the only person who has used the word “laughable” is you. ” Dictionary Of Northern New Mexico and Southern Colorado Spanish” by Ruben Cobos and the series of wonderful books written by Nasario Garcia about his relatives from the Rio Puerco Valley in New Mexico. Please add a recently published book titled, “Papas y Frijoles” by a northern New Mexico author. Northern New Mexico Spanish straight from the horse’s mouth. The title makes me hungry. Joanna, where can a person buy the book? Only from me. I am not selling it on Amazon nor at bookstores. A person can buy the book from me. Good thread, let’s keep this alive. I just posted some comments above in response to some of the other comments, so I guess just read those if interested. Brief background is that my dad was born in southern Colorado in 1940 and raised in the Chimayo/Santa Cruz/Espanola area. Both sides of his family go back generations and my dad, like so many of you, grew up speaking the northern NM variety of Spanish as a primary language. His generation appears to be the last to have been brought up in that culture, and when the generation passes away this dialect will be lost. I think we should start a separate thread to collect dichos, expressions and sayings. Ask our parents and grandparents, and share them in the thread. I’ve asked my dad and he said he’ll try to remember some. I agree we should share dichos and sayings to keep them alive in a cultural context. When someone passed away when I was growing up my grandmother would say, “Pallá vamos todos, unos adelantito y otros atrasito. We are right behind them! So I just asked my dad for dichos and the first one he threw at me was “En la noche todos los gatos son pardos” (beware: all at night seems well). Un dicho muy español sin duda, “de noche todos los gatos son pardos” (literally, at night all cats are browny) Este es un tema muy interesante, y generacional sin duda. Realmente en Estados Unidos se habla mucho español pero con preponderancia del inglés. Realmente está habiendo un resurgir del español? No, there’s not a resurgence of spanish in the U.S. What’s happened in the past several years is that the language has become a bit more mainstream in TV, movies and popular culture, due to the preponderence of spanish speaking people, most of whom are immigrants or 1st generation children of immigrants. The New Mexico situation is a little different because, although it has a lot of immigrants, there was also a population of people in the northern half of the state who had been living there for many generations and who had spoken primarily spanish up to the middle of the 20th century. This Spanish spoken by this population has, unfortunately, all but faded away and will soon be lost to history. “Fregar los trastes” (wash the dishes, with an implication that you’re screwed for having to do this chore). You need to publish your mom and dad’s dichos and stories. I like that word “trastes”. Never heard it outside Northern New Mexico. Have you found unfamiliar words in my poems and stories? You’ll hear it elsewhere too. We have a office manager who’s Mexican-American and she uses it in the kitchen at work. This is a larger phenomenon in all of the US, not just in New Mexico (where, granted, it might have more sociolinguistic relevance). I speak a fluent, if, accented Spanish and at work, where cliques have emerged, Spanish-heritage speakers (whom I get along with) routinely refuse to speak in Spanish conmigo, relegating me, at most, to crumbs of the beautiful tongue of Cervantes. I am not Hispanic but am hispanoparlante – moreover, like usted, I’ve a deep respect and appreciation for the language, but have always found it hard to get this across in my interactions with other hispanoparlantes (save for la clase trabajadora, who, by far, demonstrate a willingness to speak and be spoken to in Spanish). Spanish is firmly entrenched in this country’s linguistic makeup, and has been so for CENTURIES, but our adoption of it as a real second-language (for which it’s a regular contender) has much more to go..
I’ll always remember this anecdote, in which I was standing in line at the grocery store with 2 friends with a presumably Hispanic man in front of us. My one friend and I were just practicing our Spanish with e/o when I noticed my other (non-Spanish speaking) friend looking uncomfortable. On being pressed, she revealed she was afraid that the man in front of us would take offense at our speaking in Spanish and might believe we were attempting to mock him. !!! It was a lightbulb moment because it encapsulated the idea that many Americans unfortunately have that butchering a language in the normal process of aprendizaje it can somehow be offensive to native speakers… and is best avoided. Shameful! My advice is when you meet a spanish-speaking person for the first time, speak Spanish right away. Don’t speak any English. This will set the first impression. First impressions always set the stage for which language will be spoken from that point forward. Wow! Reading all that took two hours! Amalgamation. I grew up an Anglo in NM and speak New Mexican Spanish. Many friends are Mexican and point that out. My daughter went to Spain and speaks Castilian. Her daughter speaks English, Castlian, French and Catalan. My son speaks English, Mandarin and Central American Spanish and and is married to a Costa Rican. My granddaughter speaks CA Spanish, English and Hindi ( years in India). My grandson speaks English, CA Spanish and scientific gobbly gook. Point is, you are born into a culture or cultures. You may be taught certain languages from birthor become fluent due to location. But to really understnd the language you must absorb as much of the culture as possible. Whether in NM, Mexico, Costa Rica or Spain it is always awkward to communicate in Spanish because they assume English. So that’s what I speak. Unless their English is poor or non-existent. Then to mutual relief we speak our variants of Spanish. Like I said, when you meet someone for the very first time, start out right away speaking only Spanish. That sets the stage.